For weeks, investors were worried that problems in developing countries could lead to greater financial market difficulties. The turbulence in Turkey was the most common cause for concern. The turmoil intensified on Thursday, but the trigger was not Turkey but Argentina – a sign that the challenges for the emerging economies may be widening. The fears triggered a collapse in the currencies of several developing economies. The Central Bank of Argentina raises its key interest rate to 60 percent. It came one day after country President Mauricio Macri said he had asked the International Monetary Fund to release $ 50 billion in loans earlier than agreed. The drama in Argentina comes during the renewed uncertainty in Turkey. After a dramatic collapse earlier this month, the Turkish lira had recovered in recent days. On Thursday, however, the lira had fallen more than 4 percent against the dollar after it became known that a senior official of the Turkish central bank would leave soon. The news fueled fears among investors that the country's president, Recep Tayyip Erdogan, could take control of the central bank, which Mr Erdogan criticized for raising interest rates. Other emerging market currencies, including the Mexican peso and the Brazilian real, also fell on Thursday, as did the shares of European banks that are financially exposed to Turkey. The market turmoil has not spread to the US stock markets, which have fallen by about half a percent. Some analysts have said that debt problems in Argentina and Turkey should be seen as a warning, that emerging markets have bought up too many cheap loans and that a broader bill is lurking. The better known opinion, however, The problems of Argentina and Turkey are particularly pronounced for these countries and will not extend to economies that have managed their economies more responsibly. The IMF's $ 50 billion deal with Argentina is one of the largest in the history of the fund. In order to secure the release of the money, Argentina must agree to drastic cuts in government spending. The expected slowdown in the economy will hurt Argentines every day and put pressure on Mr Macri, who has been selected for the promise to revive Argentina's economic situation. 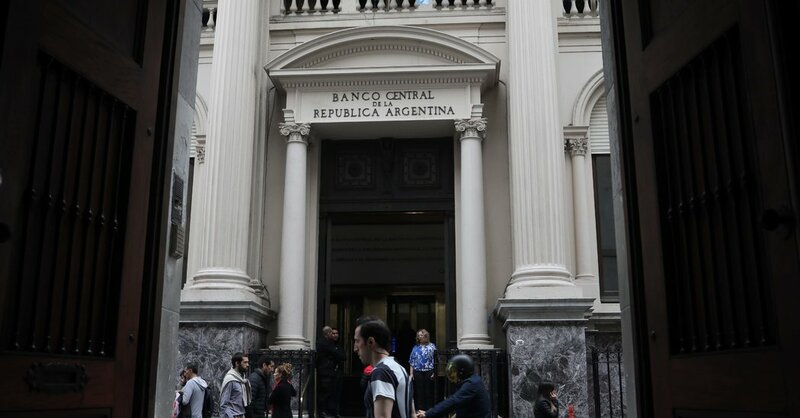 The Argentine Central Bank said its Monetary Policy Committee unanimously decided to fight the peso's fall to counter fears that the fall in the currency could accelerate inflation. The currency has lost almost half of its value against the dollar since the beginning of the year: a dollar bought 18.8 pesos and now buys 35.9.